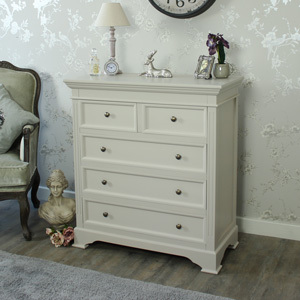 Large white chest of drawers, ideal bedroom furniture for a country themed home decor. 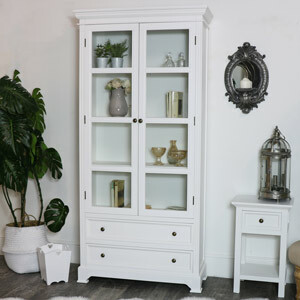 Matching furniture available for the bedroom and living room in classic Georgian design, also available in more colours. 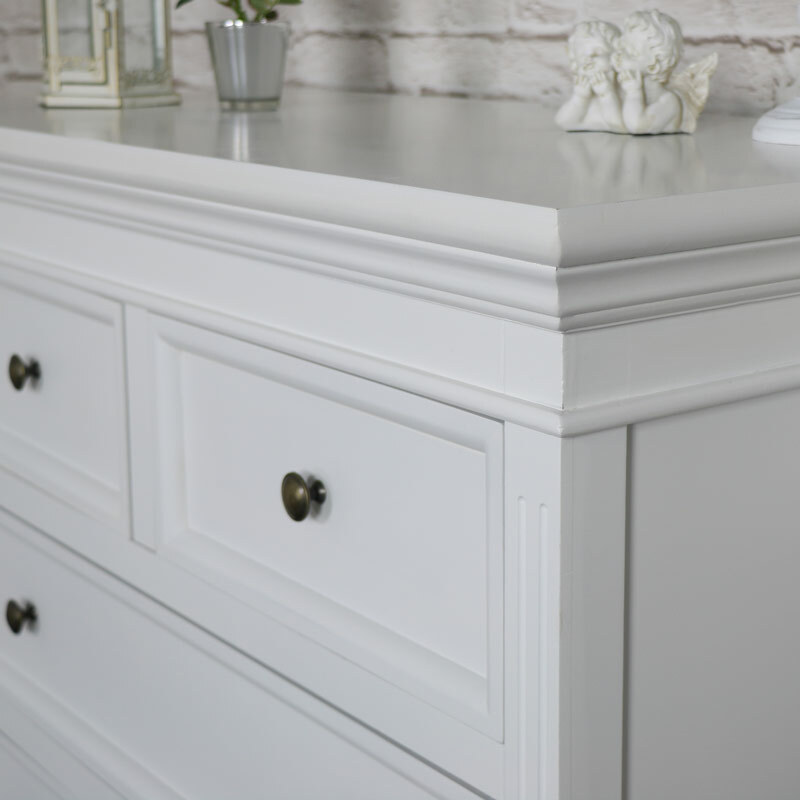 Add a fresh new look to your bedroom decor with this chest. 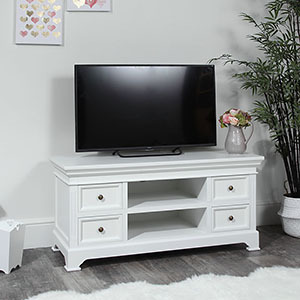 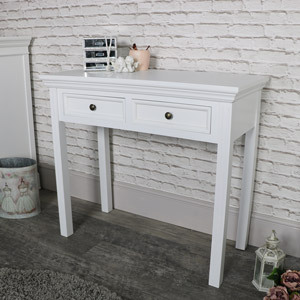 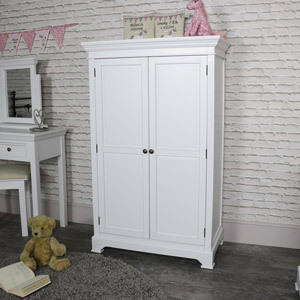 A fantastic piece of furniture that comes fully assembled and much needed storage and help to create a bedroom full of vintage country chic style. 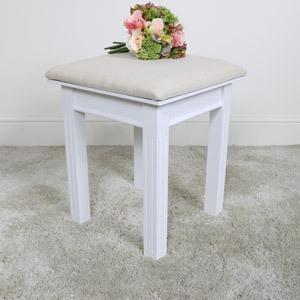 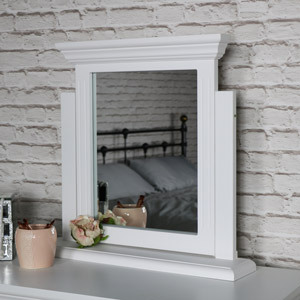 The Daventry White Range offers neutral tones that will fit in with any colour scheme and with more colours to choose from. 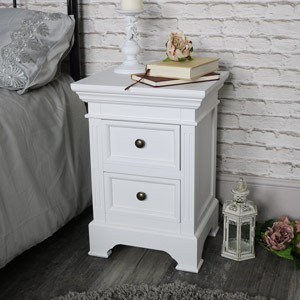 Large white chest of drawers, ideal bedroom furniture for a country themed home decor. 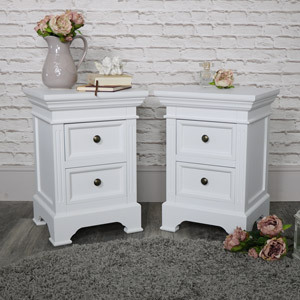 Matching furniture available for the bedroom and living room in classic Georgian design, also available in more colours. 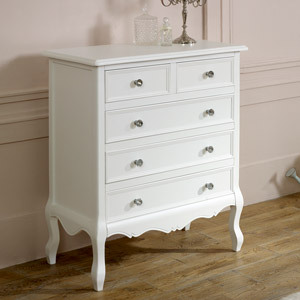 Add a fresh new look to your bedroom decor with this chest. 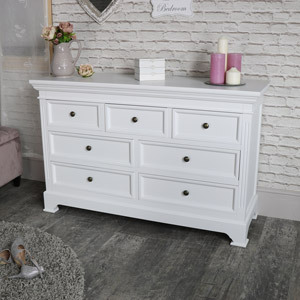 A fantastic piece of furniture that comes fully assembled and much needed storage and help to create a bedroom full of vintage country chic style. 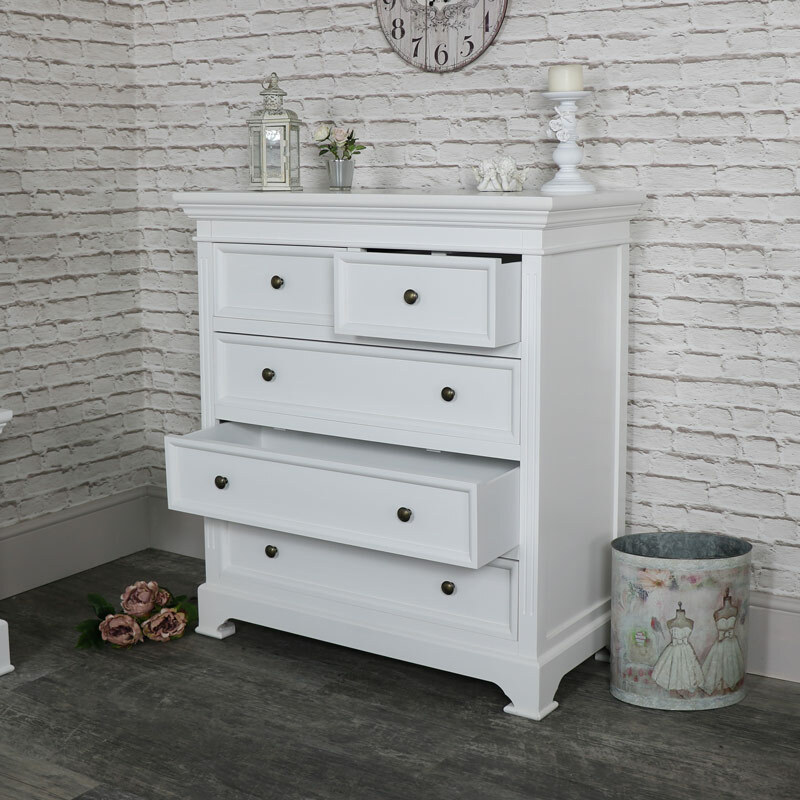 The Daventry White Range offers neutral tones that will fit in with any colour scheme and with more colours to choose from. 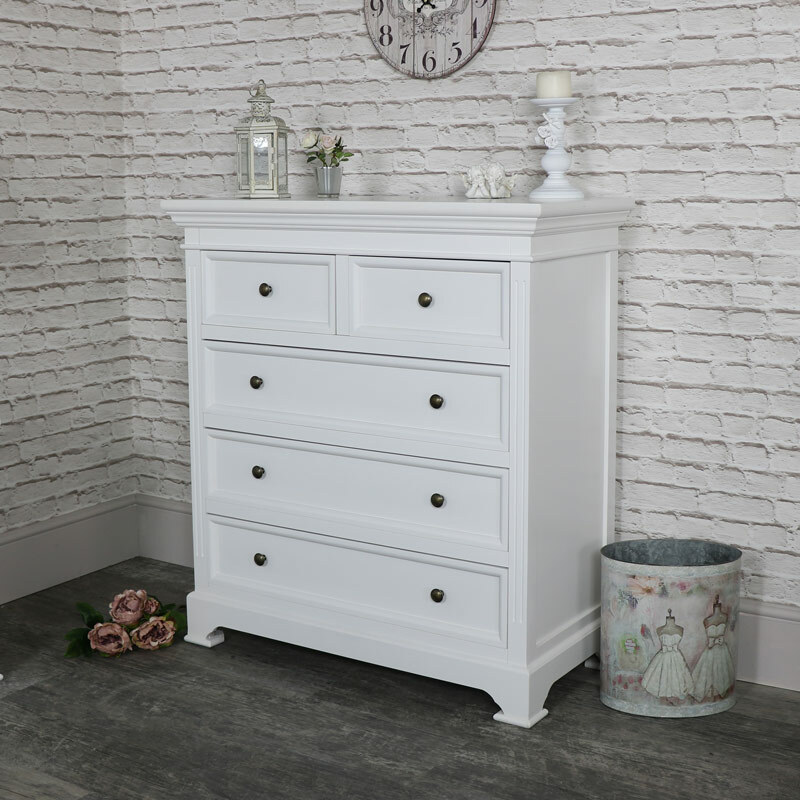 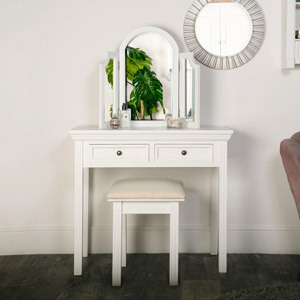 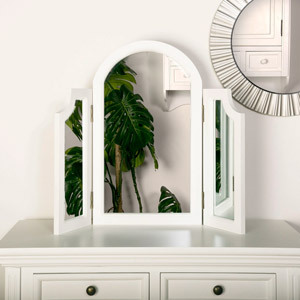 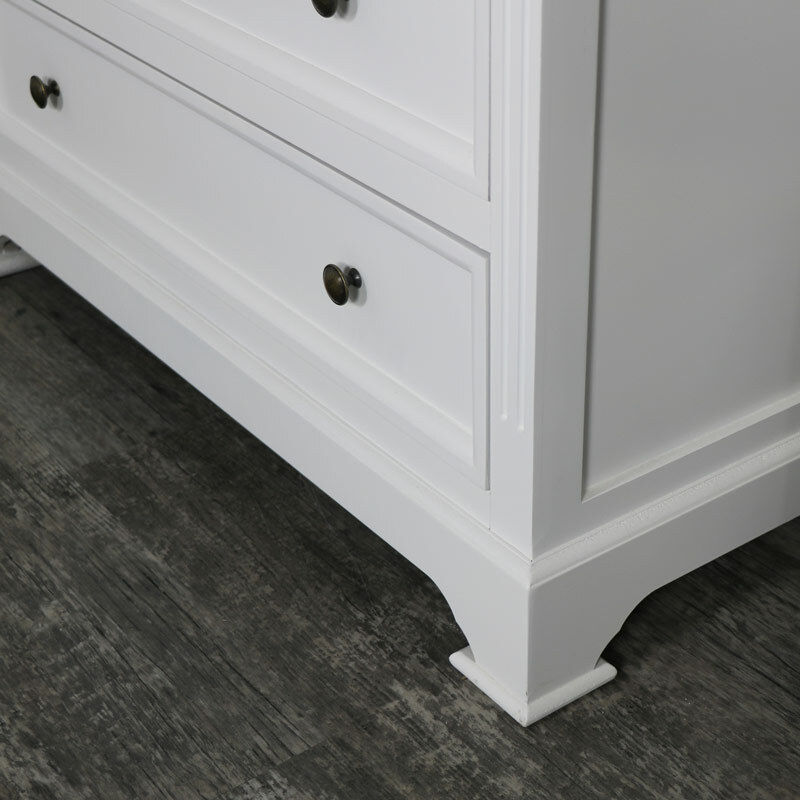 With several more pieces of furniture in this range that will allow you to create your perfect bedroom, from clothing storage with chests of drawers and wardrobes to dressing tables for giving you the perfect place to get ready for the day ahead or an evening out! 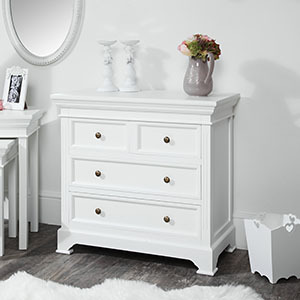 Fully furnish your bedroom with love and brilliant style.